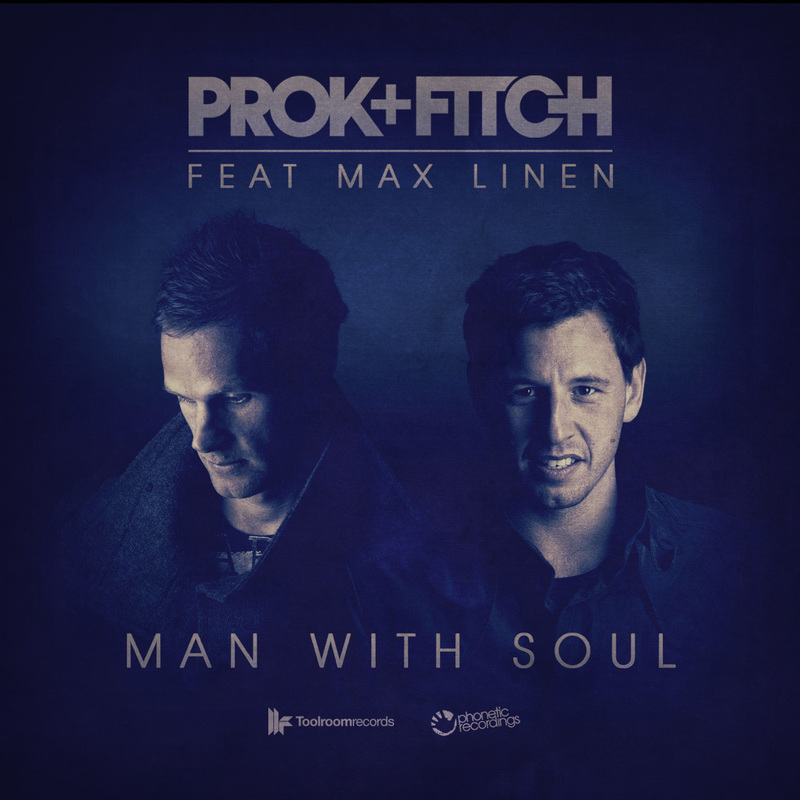 Tipped by the national media as ones to watch, Prok & Fitch return to Toolroom Records with the outstanding 'Man With Soul', featuring the vocal talents of grammy award winning Max Linen. Following the success of their Toolroom Knights album at the close of last year and recent BBC Radio 1 support, 2014 looks set to be Prok & Fitch's biggest year yet. With a recent US tour going down a storm, bringing their dance-inducing rhythms to every corner of the continent, Prok & Fitch featuring Max Linen present 'Man With Soul'. 'Man With Soul' focuses on a high-energy disco groove that relentlessly builds towards a mammoth drop where Max Linen's infamous vocal takes hold. Heavily featured in Mark Knight's sets, this is an expertly crafted track that is sure to get widespread support from a cross genre of DJs from Miami WMC right through the Ibiza season. Featured as a world exclusive on Radio 1 with Danny Howard, Pete Tong, Nervo, Kissy Sell Out & Steve Angelo, BBC Radio 6 Music. With a string of Tastemaker DJ's raving about it. Already proven to be a standout track in an already stellar Toolroom catalogue, check out Prok & Fitch's 'Man With Soul', a slice of house history, updated for today's dance floors. Copyright © 2014 Phonetic Recordings Ltd.